Travel is a learning process, and more times than not, the area I struggle in most is beauty. It's not that I don't know what to take; there are just so many products that I love and so many "what if" scenarios that I create in my head that it can be hard to streamline. During my recent trip to Iceland (see part 1 and 2 of my itinerary, if you're interested), I started thinking about all the products I was using and all the products that I brought and didn't really need. It was then that I realized there are so many great ways to use daily favorites as multi-taskers, which will undoubtedly save you loads of space. 1) Powdered Clay Masks are Multi-Taskers: Powders are always more practical than liquids when traveling, and clay masks tend to work just as well in this form. 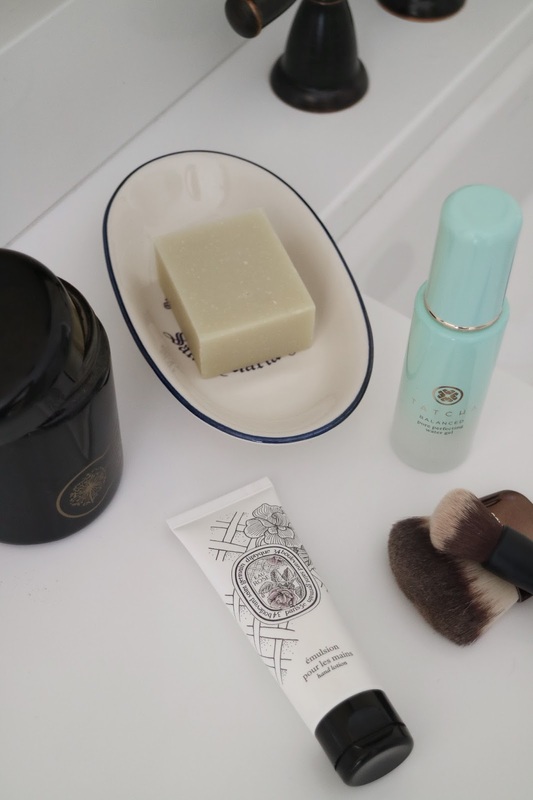 I brought a small container filled with my favorite May Lindstrom The Problem Solver, as it can be used for everything from a deep cleansing mask to set skin straight, to an overnight spot treatment, and even an exfoliator. That means one product in place of three, without sacrificing on results. 2) Hand Cream as Body Cream: This may sound silly, but hear me out. 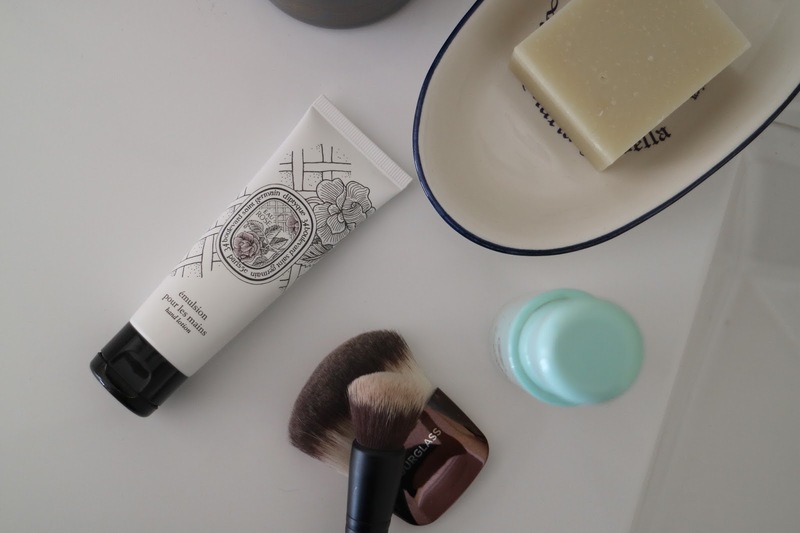 Creams ultimately eat up the majority of our toiletry space, and hand creams typically are no different from body creams. In fact, they can be even more nourishing than the latter, and are already packaged in a TSA-sized bottle. This Diptyque option smells like fresh roses and works wonders on both hands and limbs. 3) Swap Liquid Shampoo for a Bar: I'm not typically one to sacrifice on haircare, but when I discovered Christophe Robin's Hydrating Shampoo Bar I know I had found something special. Of course, this bar works just as wonderfully as any liquid shampoo, and I'd even go so far as to say it results in bouncier hair with less buildup. What's more is that is can also be used as ultra-hydrating body soap; who doesn't love a good two-in-one? 4) Double Up On Brushes: I understand the struggle is real when it comes to narrowing down brushes, but in reality, all you need are a few. I brought one for applying both concealer and foundation, one for powders, and one for eyeshadow. The good thing is that you can always wash them and let dry overnight if you use a color that you don't want transferring. More isn't always more! 5) Bring a Liquid Moisturizer: In reality, you can go a week without your entire skincare arsenal at the ready. So many of my serums are actually just hydrating serums, and most of my moisturizers perform the same task; so why bring both? 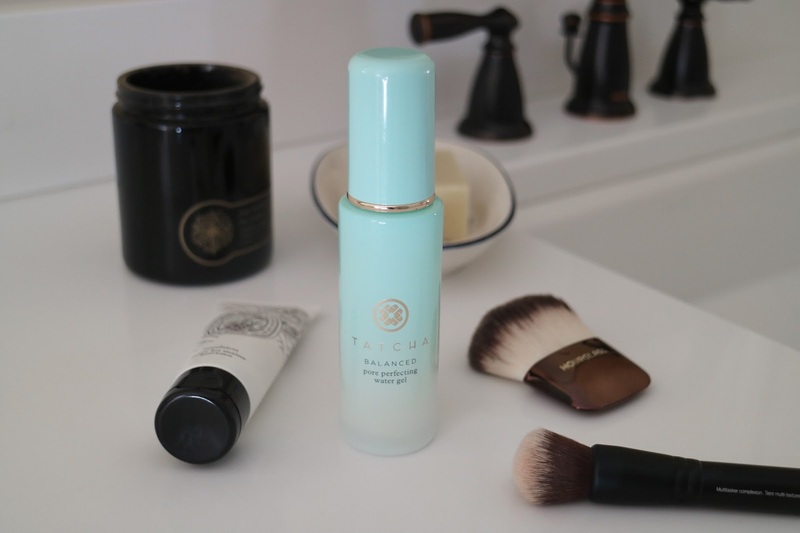 Opt for something like Tatcha's The Water Gel, which has a lightweight fluid texture that manages to pack some serious hydration punch. By doing this, you're saving both time and space in your beauty routine. Are there any travel beauty tips you abide by when jetting off? Share in the comments below!